Living in a clean and organized home is important to anyone’s health and well being, especially for seniors who spend most of their time at home. Those same seniors might also lack the ability to clean their homes as often or as well as is necessary. 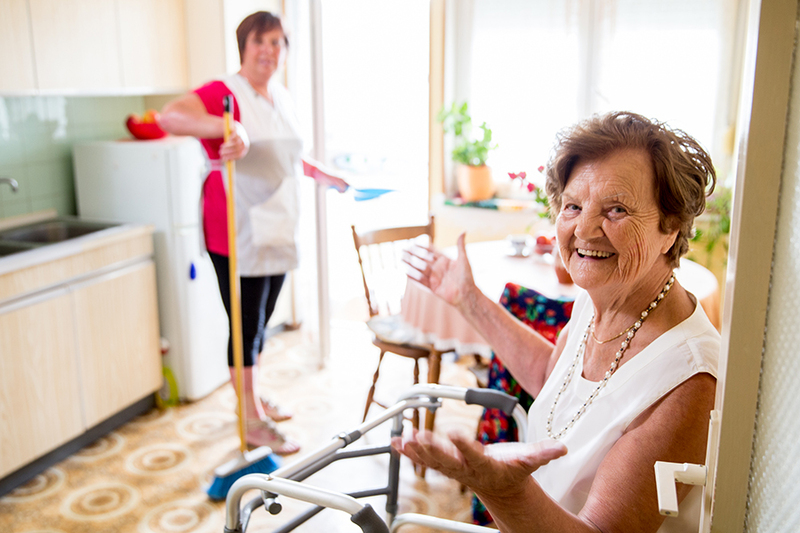 Caregivers from Home Care Powered by AUAF can assist with light housekeeping, giving you or your loved one, the help you need to maintain a clean, healthy home. Our caregivers can help with disinfecting counters, sweeping and mopping floors; washing dishes, discarding spoiled food, and emptying trash bins. You don’t want germs to linger on counter tops and other surfaces as they can lead to bacterial and viral infections. Keeping refrigerators and cupboards free of expired or spoiled foods can avert food-borne illnesses. Maintaining a clean kitchen enables you, or your loved one to live a healthy life. Our caregivers can help in disinfecting the bathroom, including the sink, toilet and shower; organizing bathroom towels and washcloths; and in emptying trash bins. Your bathroom is where you go to get clean. Making sure it is clean and free of germs will help in living a healthy life. Our caregivers can assist with vacuuming and dusting; organizing closets; changing bed linens and making the bed; and emptying trash bins. There is no greater feeling than getting into a bed at night with crisp, clean sheets. Or sitting on a couch in an uncluttered living room that’s dust-free. Let our caregivers focus on keeping the home clean, and let you or your loved one enjoy the things that matter most. Our core mission is to ensure our clients’ healthy lifestyle and well-being. Call us today at 877-947-2685 and ask how Home Care Powered by AUAF can help with your light housekeeping needs.